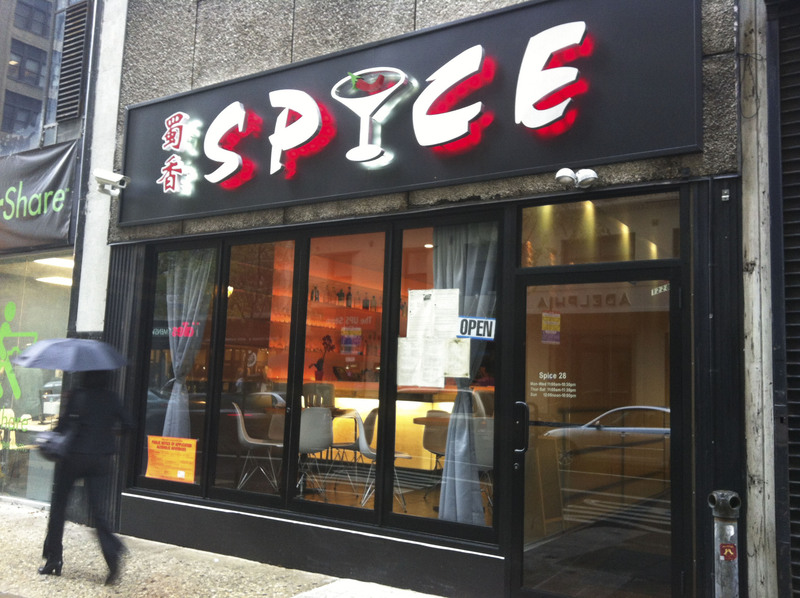 Spice 28 may have a bit of a personality disorder, but they put out reasonably priced food (especially lunch), and they do it well. 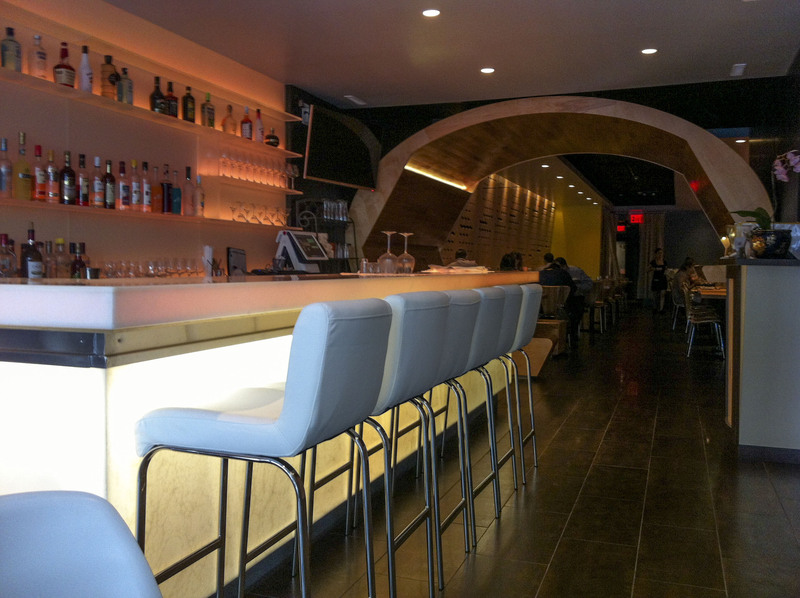 This Thai/Szechuan/Chinese/Indian/Japanese restaurant has a pretty amazing interior, as seen below. 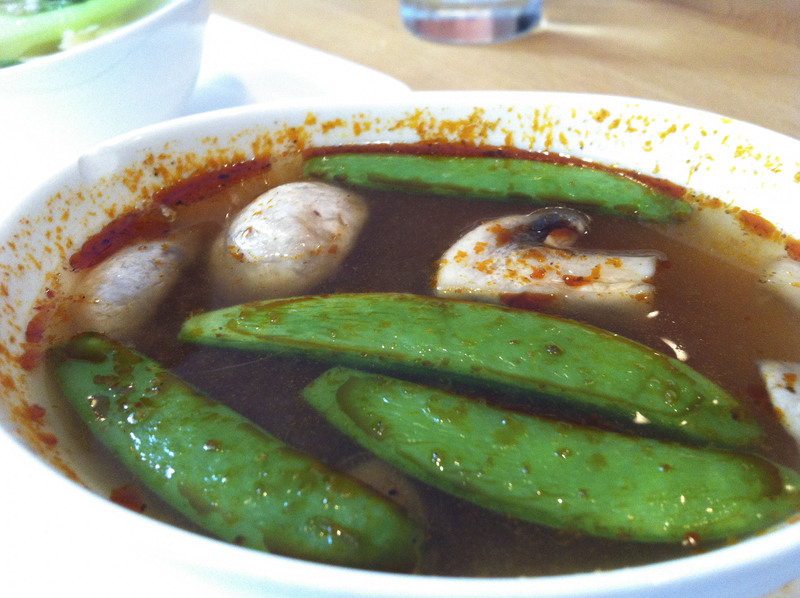 They also offer various lunch specials (single-dish type), which start at $7, and include soup, either Tom Yum or Wonton. The lunch boxes, which hover around $11 depending on your protein, come with choice of soup, Thai spring roll, and spicy cucumbers. 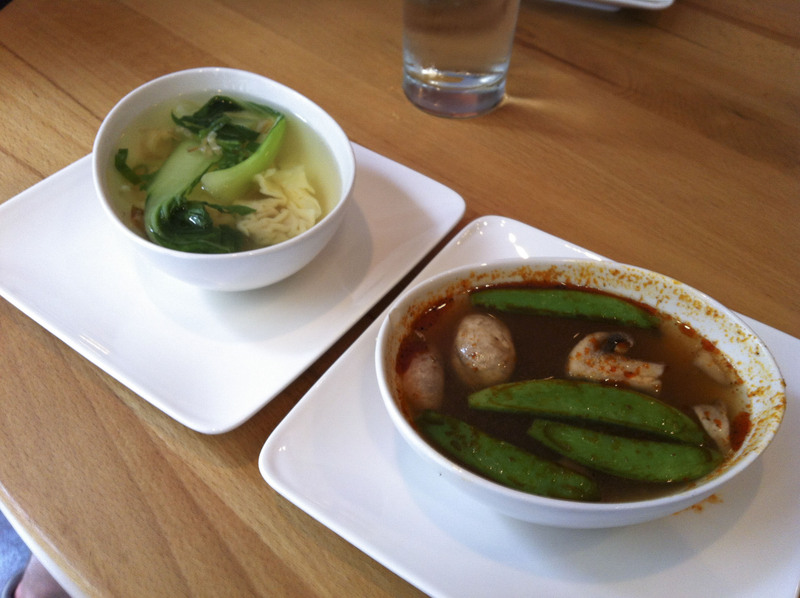 I went with one of each lunch special, so I was able to try each soup. 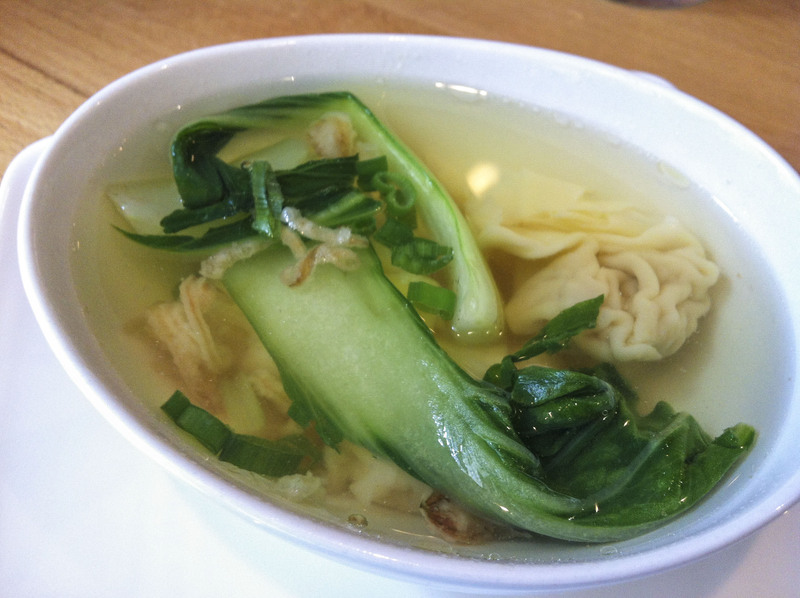 The Wonton soup had a delicate broth, fried garlic, greens, and ginger-laden dumplings. It was a nice take on a staple that tends to taste like salty water. The Tom Yum, though missing some of the citric acidity from the lemongrass and lime that makes it traditionally so soul soothing, had a nice funky flavor from the fish sauce, and thanks to the blend of sour and heat was still quite enjoyable. It came with a couple of button mushrooms and some snap peas. 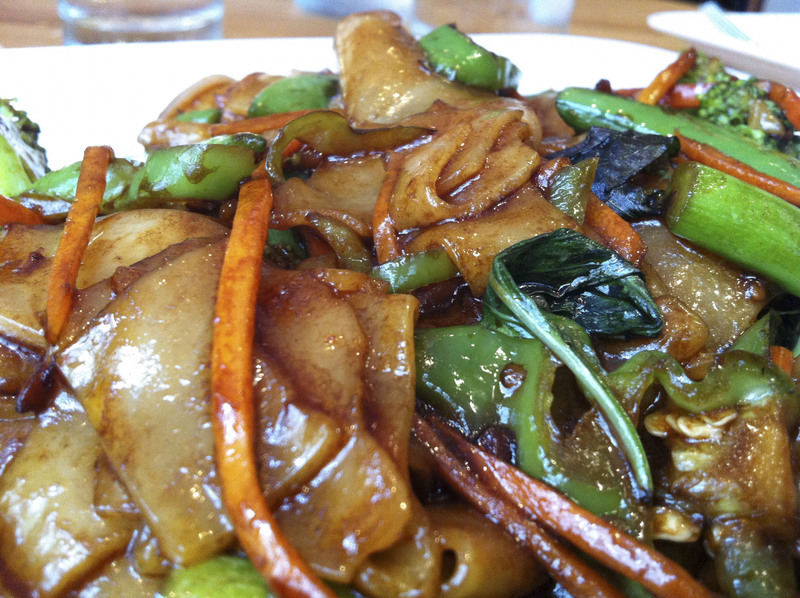 Drunken noodles is a Thai/Chinese treat, and when done right, it's fantastic. This was a really well balanced version, not overly oily, and had great flavor from the soy, fish sauce, and seasonings. 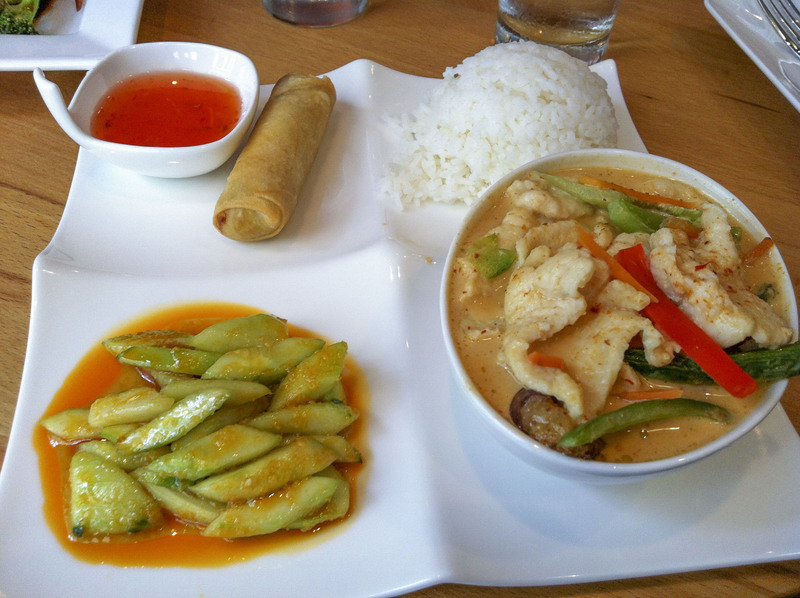 The lunch box special was another great pick, with green curry chicken, a spring roll, and said spicy cucumbers. 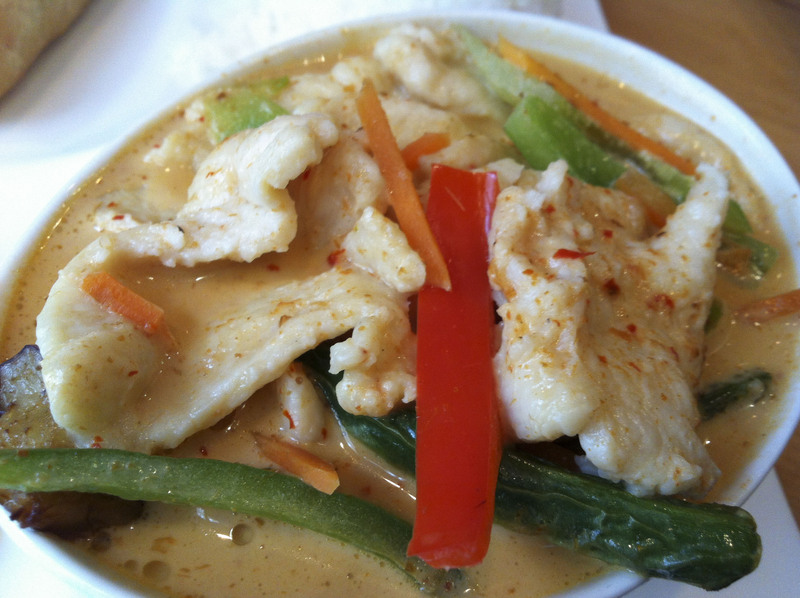 The curry was not overly spicy, but had just enough heat to remind you that you are indeed eating curry. The vegetables were fresh, and added some textural contrast. 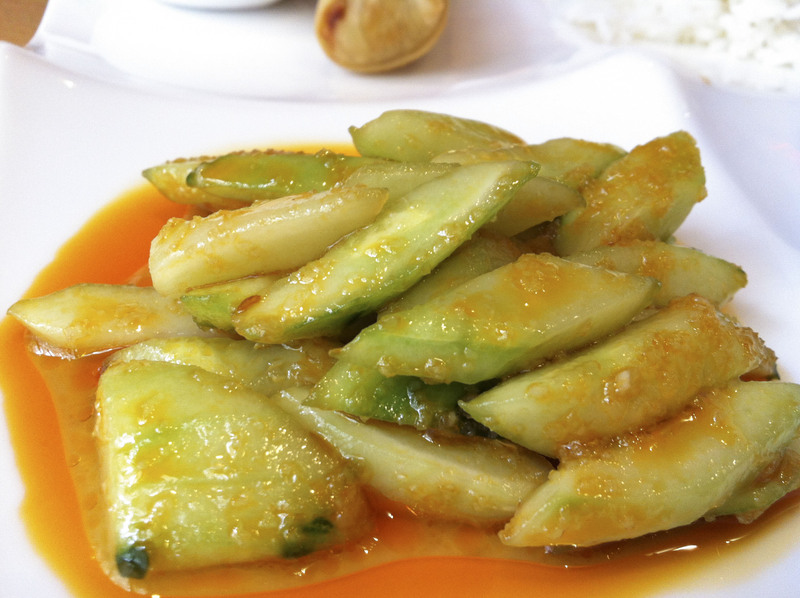 Spicy cukes, not as good as the end all Szechuan place in Philadelphia, but still mighty tasty. I am unable to replicate these flavors at home, and it's quite frustrating. Anyone have any ideas? Oh, and the spring roll. It was a spring roll. 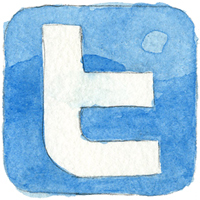 Tasty, light, and crunchy. 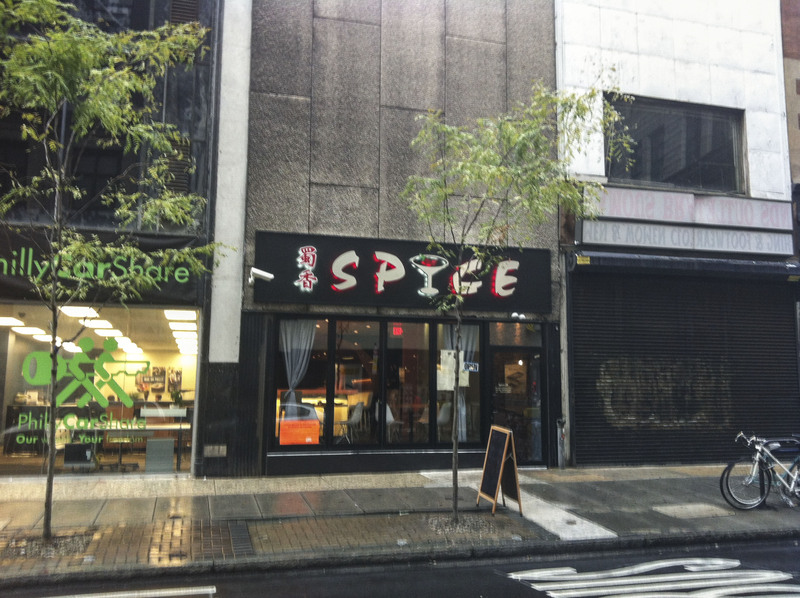 I really liked this place, and hope that they can continue their dominance of Asian style mash-ups. 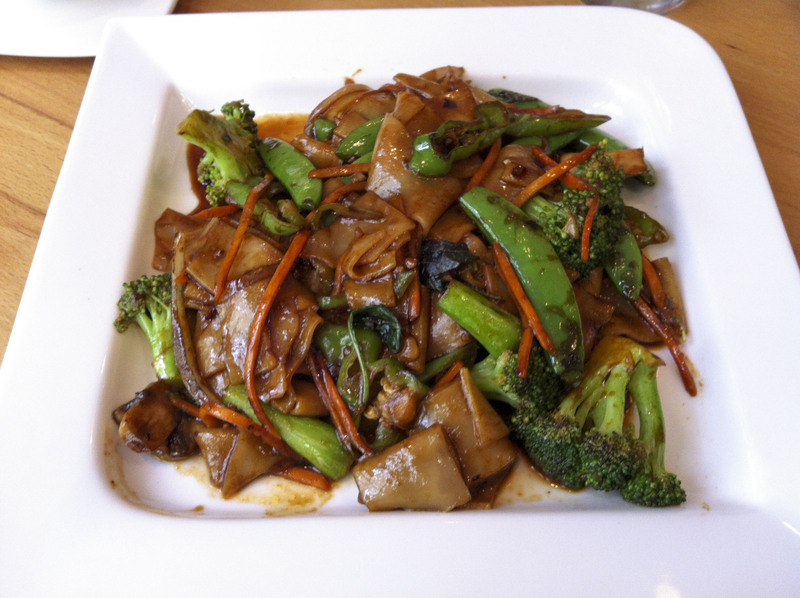 The Thai food really stood out to me, but from what I hear, they have some great tuna and avocado dishes as well. The service was also fantastic, and my water was never less than half full. For less than $20 before tip, that's a four cheesesteak type meal.